A Clash in the Mountains – Fix Bayonets! “Five full divisions …” Hard to imagine what was going through the minds of those Marines. It makes you proud of them. It makes you proud to know that these kinds of Marines still exist. I may have to look for that book, “Bonnie-Sue.” Thanks for the tip. Thank you Sam. It is an excellent book. Highly recommended. Thank you sir. I am getting some traffic, but not so much. I was in and out of Khe Sanh at least 50 times during early 1968 in an Army UH1D Huey. We were attached to the 1st Signal Brigade carrying equipment and manpower. To this day, I still can’t believe that we were never shot down. What a Hell Hole! God bless the Marines that were stationed there! If they didn’t have nerves of steel when they got there, they surely had them when they left! Thank you for stopping by, AA … I appreciate your comments, very much. 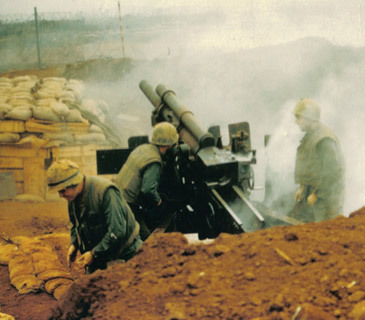 If you are interested in Khe Sanh today, here’s a link with some information and snapshot. I appreciate your comments, Koji … I hope you will stop back again. I usually post here on Fridays, and Mon-Wed-Fri at my other blog. “Well done thou good and faithful servant.” Tongue in cheek? Well, perhaps it isn’t and just praise but I can see you and Old Man Jack “tussling” on those godforsaken sands during WWII. It is genuine respect for the jobs they do under difficult circumstances, like the USS Roberts (FFG 58) that found itself in a minefield in 1988. It took true grit to deal with that problem, and those exceptional men overcame their circumstances. For another example of naval heroism, read about the USS Roberts (DE 413) during World War II. A friend of mine, a Navy Officer, once told me that sailors aren’t “troops” in the way of front line soldiers and Marines. They are an amazing combination of technicians with unbelievable skill sets —without whom no ship could be deployed. But the men who fight the ship are not the sailors, but the line officers and senior petty officers responsible for tactical deployment and surface combat maneuvering. I’m not sure that the engine man who found himself in the water with other crewmen, trying to survive the onslaught of shark attacks for several days, would agree. But no … my praise for the U. S. Navy is sincere. Le militaire américain sont si courageux. Il est facile de les respecter tous, et oui je pense qu’il est également facile de vouloir être dans leurs légions. Yes, very courageous Louis. And courage takes many different forms. Thank you for continuing to read this blog, and for commenting. Gentlemen, thanks for the positive comments, really! Thank you for participating, John. I value your input. Khe Sanh was tough ground. I had a friend in the battle there, he only spoke of it once, and then never again. The Marines there did one hell of a job. Joshua Chamberlain called such men giants, and I agree. 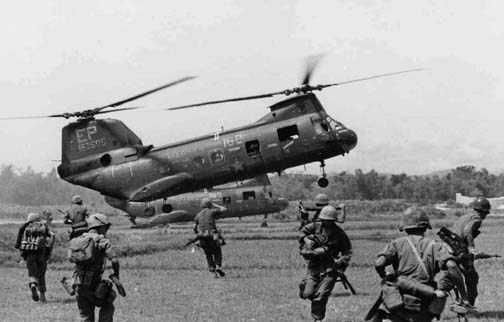 In the end, I think General Giap decided that it would cost too many lives to take that position; in the end, I think General Giap knew that the U. S. Marines were not going to give it up without one hell of a fight. He knew that the forces there were led by the Lion of Khe Sanh … David E. Lownds (1920-2011). Thank you for stopping by, William.